Video: TEDWomen 2017: Wendy Suzuki - The Brain-Changing Benefits of Exercise. Video: American Museum of Natural History: Exercise Your Brain - AMNH SciCafe. Video: Dr. Wendy Suzuki's Personal Journey . Video: Healthy brain happy life | Wendy Suzuki | TEDxBayArea. Video: How Your Brain Impacts Your Overall Well-Being. Video: Neuroscientist's Secrets of Focus, Memory and Moods. Video: Yet Another Reason to Exercise: It May Make You More Creative . Audio: American Museum of Natural History: SciCafe: Exercise Your Brain. Wendy Suzuki, Ph.D. is a Professor of Neural Science and Psychology at New York University. Her research focuses on two main questions: how our brains allow us to learn and retain new long-term memories for facts and events, and understanding the effects of aerobic exercise on our learning memory and cognitive abilities. 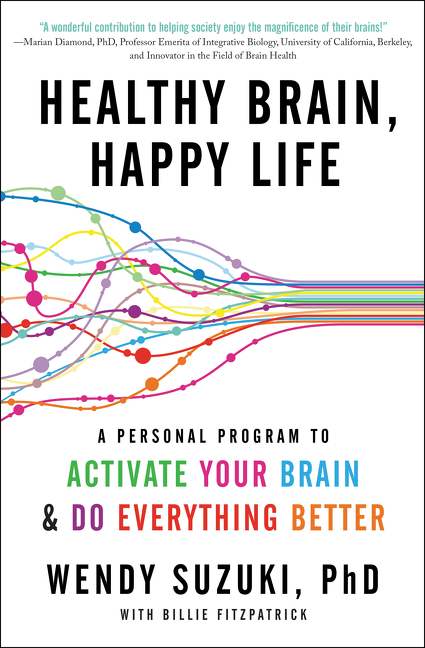 Healthy Brain, Happy Life (Dey Street Books) offers the real science of how exercise effects your mind. Using Suzuki’s journey from frumpy, fat and frustrated to fit and fabulous as a guide, Healthy Brain, Happy Life offers not just the hows of making exercise an important part of life, but the whys of the benefits it brings. Movement is just the first step to having a healthy brain and a happy life. Once you get your body and mind hooked on exercise, you bring in practices in mindfulness to calm stress and allow your minds to wander to unlock creativity. In this fascinating book, Suzuki makes neuroscience easy to understand, interweaving her personal story with ground-breaking research, and offering practical, short exercises—4 minute Brain Hacks—to engage your mind and improve your memory, your ability to learn new skills, and function more efficiently. Taking us on an amazing journey inside the brain as never before, Suzuki helps us unlock the keys to neuroplasticity that can change our brains, or bodies, and, ultimately, our lives. Suzuki is known for her innovative and engaging teaching and lecture style that often has audience members exercising as part of her lecture. She is also a pioneer in bringing physical activity and meditation into her New York University undergraduate classroom and is currently studying the effects of increased physical activity on university engagement, grades and cognitive functions in the New York University undergraduate population. Her teaching philosophy is based on the power of experiential learning. Indeed, experiential learning is her general life philosophy that has guided her choices both in her neuroscience research career and in her life . See even more videos, podcasts and interviews at: www.wendysuzuki.com. Currently, Suzuki resides in New York. 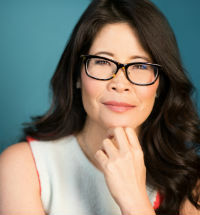 "Dr. Wendy Suzuki brought a crowd of 700 to their feet, exercising both mind and body, as part of the popular SciCafe series at the American Museum of Natural History. Attendees came away with a strong understanding of the effects of aerobics on the brain (and even stronger biceps). Wendy is an adept science communicator with a unique ability to empower, engage, and excite an audience." "Dr. Suzuki was wonderful! The only exercise I've gotten in a while!" "Amazing, engaging speaker. Loved working out with her and that she didn't rely on slides." "It exceeded my expectations. Dr. Suzuki was the best speaker I have ever heard! Super! Great enthusiasm for subject matter!" "She was very interesting and captivating and I learned a lot." "I actually found myself sitting at my desk doing the movements in my chair." "She was very energetic, engaging and very inspiring."